First I want to say hello to my newest follower, Darrell Jennings. Glad to have you on board! And thank you Bob Harris at Acoustic Guitar Videos who gave me a shout out on his great site. I'll post some on AGV once I figure out how!?! 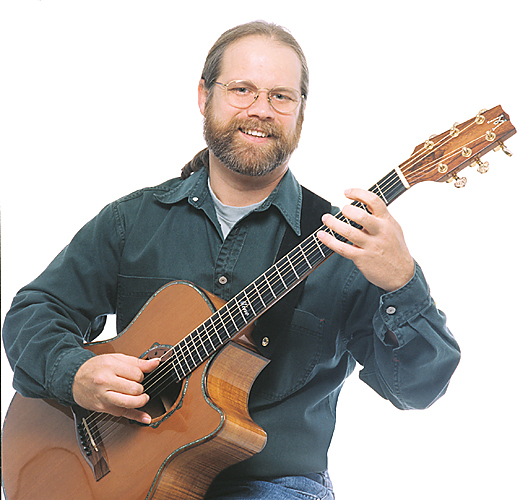 In 1997 I got to watch, along with hundreds of other attendees as Todd Hallawell took first place in the National Fingerstyle Guitar Championships in Winfield, Kansas. Now I don't claim to know too much about Todd personally but one thing is quite evident as a guitarist; Todd is one of the cleanest pickers I've ever heard. Todd has three cd's out and if you love finger style guitar I think you'll love Todd's playing. His third cd "Ear Candy" is a great duet album with flat picker Robin Kessinger. Here is Todd performing his original Leola Kay.